Ken’s Sewer Service has been servicing Minneapolis – St. Paul and the greater Twin Cities since 1974. Our company has the reputation for being dependable, trusted & recommended. We service all Commercial, Residential & Industrial properties. Being a family owned & operated operation we understand how to treat clients fair with affordable rates and quality service. Were licensed, bonded & insured so you can trust and feel comfortable while our technicians work in your home. Our company sells professional drain equipment to other companies in town so we have the latest and newest technology around. If you are encountering clogged plumbing or have a backed up drain, look no further and call us today. Ken’s Sewer Service delivers the highest quality plumbing & drain cleaning at affordable prices. 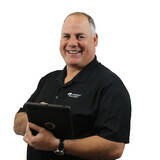 Founded by James "JD" Sorenson, JD Plumbing is a locally owned and operated plumbing business based in Bloomington, MN. 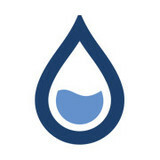 We were founded with the goal to provide quality plumbing services with integrity. JD Plumbing provides residential plumbing services from kitchen and bathroom remodels to water softener and water heating replacements throughout the Twin Cities. Have you been searching for a service contractor you can trust? Make your first choice Elander Mechanical, Inc. We have been providing Shakopee, MN with reliable plumbing, heating, and cooling solutions since 1982. Call us today at 952-445-4692 to schedule an appointment with one of our experts. Elander Mechanical, Inc. was established nearly 35 years ago as a family-run plumbing company. Thomas Elander founded the business with his father and brother. In 1991, we added HVAC services to our specialty to better meet the needs of our clients. 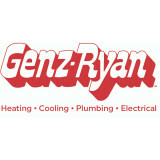 Now, we are one of the premier plumbing, heating, and cooling contractors serving Shakopee, MN and the Twin Cities area. Our team works with homeowners, commercial properties, and homebuilders to ensure that your comfort systems are running at maximum efficiency. At Elander Mechanical, Inc. our mission is to understand, fix, and maintain your system efficiently, with the highest level of professionalism and aptitude. Our install and service technicians display self-respect in their appearance and confidence in their skills as they earn your trust through honesty and reliable service. The installer and service technicians at Elander Mechanical, Inc. arrive at your door with confidence and professional pride. Our carefully selected technicians and office staff have a natural desire to honor our clients’ needs. Professionalism, Integrity, and Quality are what you can expect from us on every project. A plumbing contractor handles the installation and repair of water, sewage and natural gas pipes throughout a home, as well as interior and exterior faucets and fixtures. Plumbing contractors are also trained to work with water mains, septic tanks, laundry appliances, water heaters, sump pumps and other plumbing and pipe systems. Because plumbing repair work is done largely behind walls and beneath floors, some plumbing companies can also patch or replace tile, stonework and other surfaces. Although some Burnsville plumbers are generalists, others specialize in specific areas; a 24 hour emergency plumber will handle urgent residential repairs, while others may be more skilled in remodeling, natural gas lines, overhead sprinkler systems and more. Find a local Burnsville plumber on Houzz. Narrow your search in the Professionals section of the website to plumbing contractors in Burnsville, MN. You may also look through photos of Burnsville, MN projects to find a licensed plumber who has worked on a project similar to yours. Here are some related professionals and vendors to complement the work of plumbers: General Contractors, Septic Tanks & Systems, Kitchen & Bath Designers, Kitchen & Bath Remodelers.